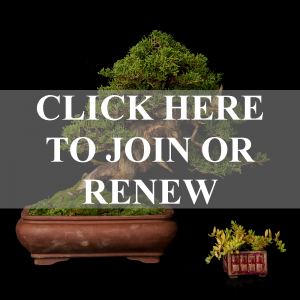 Since 1956 the Cleveland Bonsai Club has been dedicated to the pursuit of excellence in Bonsai, Penjing and Saikei. Club meetings include the general exchange of ideas and information, as well as demonstrations, instruction, workshops and speakers of all types, whether from the club members or professionals known worldwide. Our Club meetings are currently held January through November on the 4th Saturday of the month from 9:30am to 12:00pm at the Rockefeller Park Greenhouse located on Martin Luther King Blvd. off the I-90 exit in Cleveland. In addition to our monthly meetings and activities, the CBC puts on as many as two shows per year with our primary annual show in early June. These shows include vendors, demonstrations, displays and beautiful settings with as many as 75 to 100 of the finest Bonsai examples on display. Guests of all experience levels are welcome to attend our monthly meetings and annual shows. So, feel free to drop in and see what it is all about! Take a quick walk around the 2018 Annual Show of the Cleveland Bonsai Club with member Dan White on a beautiful early fall day.